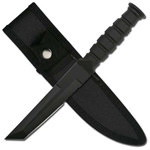 Our affordable Fixed Blade Bowie Survival Knife is perfect for outdoor activities like Fishing, Hunting or other recreational activities. 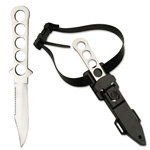 Includes Black nylon belt sheath. 8 1/2" overall 4 3/4" knife blade. 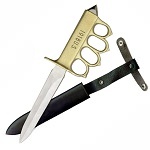 440 stainless steel blade and nylon sheath. Compass and survival kit inside handle. 7.5" Overall, 3.75" Blade. 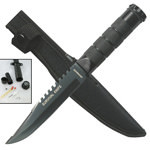 Comfortable handle with nylon sheath. Thick leather wrap handle with lanyard. 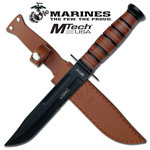 Includes army tan sheath with leg tie. 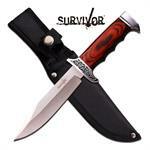 Fixed blade knives are known to be the toughest among all. Why? 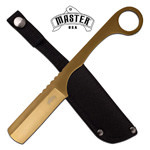 Because they have handles which are fixed with their blades unlike folding knives which have movable blades. 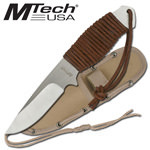 The mechanism of folding knives make them easy for carrying around whereas Fixed Blade Knives have benefits when it comes to the execution and performance of big, tough chores. 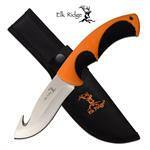 Fixed blade knives mostly focus on strong construction and durability. They find their most of the uses in the wilderness and outdoor. A Lot of knives i.e. 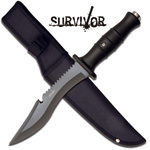 Survival Knives, Bowie Knife, Military Knives, Hunting Knives, Skinning Knife and Fillet Knives fall under the category of fixed blade knives. Each of these knives has its own unique use and benefit. 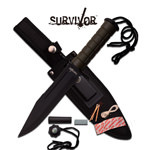 A survival knife finds its use in a survival situation. 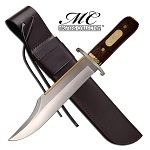 Bowie knife has multiple uses, Tactical knives prove to be the best asset in a fighting situation and hunting knives are used for all those tough chores related to hunting. 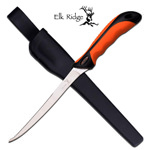 In short, all of these fixed blade knives are big knives constructed in a way to efficiently carry out the tough chores they are designed for. 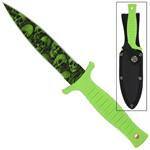 Wholesale Blades is a leading brand of Fixed Blade Knives. 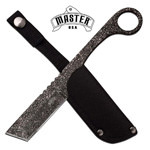 We stock a wide selection of the best fixed blade knives. Nobody can compete us when it comes to fixed blade knives as our knives feature razor sharp blades, fine construction, best construction materials and of course ergonomic handles to provide the holders comfortable and secure grips. 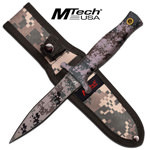 Whether you are a hunter, a fighter, a military person, a fisherman, a wild lover, an outdoor fanatic or simply a knife enthusiast, we got you covered with our amazing variety of each and every kind of fixed blade knives. 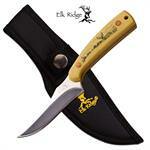 The designs of our fixed blade knives boasts of finesse and impressiveness and the make is simply solid and best. Are you looking for a renowned wholesaler of the best fixed blade knives? You have found one then as our knives are unmatchable and simply irresistible which you can purchase at very affordable rates. And do you know what’s the best thing about us? Now, you can avail a FLAT 20% off on your order if you buy six or more pieces of the same product from us. 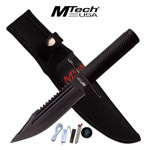 So, grab the best fixed blade knives from Wholesale Blades now at the lowest possible rates.